I received the below email from LexisNexis advising me that Tort Talk (http://www.torttalk.com/) has been nominated as a candidate for the LexisNexis Top 50 Insurance Law Blogs of 2011. A comment period has opened and the LexisNexis representatives will give great weight to the commentary in favor of the nominees. If you are willing and able, it is my hope that you will please consider offering commentary in favor of Tort Talk for this nomination. 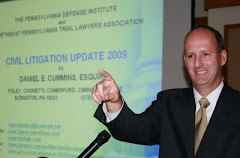 This blog provides updates, trends and thoughts about Pennsylvania Civil Litigation Law. It's a nice mix of good writing, interesting topics and practical information for the insurance defense crowd. Below is a copy of the email I recieved and information on how to offer up comments. Each year, LexisNexis honors a select group of blogs that set the online standard for a given industry. I’m pleased to notify you that your blog is one of the nominated candidates for the LexisNexis Top 50 Insurance Law Blogs of 2011, featured on the LexisNexis Insurance Law Community. We are inviting Insurance law practitioners to comment on our list of nominees. If you’d like to request that readers support your nomination, please ask them to comment on the announcement post on our LexisNexis Insurance Law Community. To submit a comment, visitors need to log on to their free LexisNexis Communities account. If you haven’t previously registered, you can do so on the Insurance Law Community Insurance Law Community for free. The comment box is at the very bottom of the blog nomination page. The comment period for nominations ends on October 7, 2011. 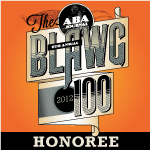 Our Matthew Bender Insurance editors and our Insurance Law Advisory Board will then give strong consideration to the comments received when they review all of the nominees and select the Top 50 Insurance Law Blogs of 2011 next month.